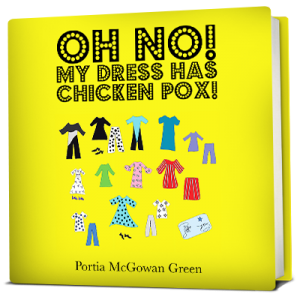 Oh No My Dress Has Chicken Pox! A singing group named “Stars” is appearing in concert in the town where Jasmine lives. Jasmine, her best friend, Paige, and GAF have plans to attend the event. There’s one problem. Jas has trouble trying to decide on what to wear. Her great-aunt, Fluff, and best friend, Paige, try to help her find the right outfit. Jas got frustrated and settled for the unexpected after she tries on one piece of clothing after the other.